Lists are a good way to help users indexing data know if the data they are setting for a field is good and can also speed up the manual indexing process. 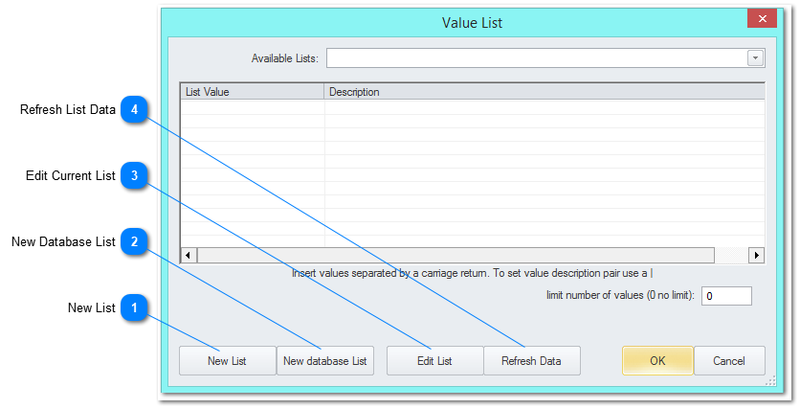 A list can be created by adding each value by hand or built from a database connected to ChronoScan. While the manual list is fixed the database list will update according to the database selected. Behavior of a field linked to a value list. 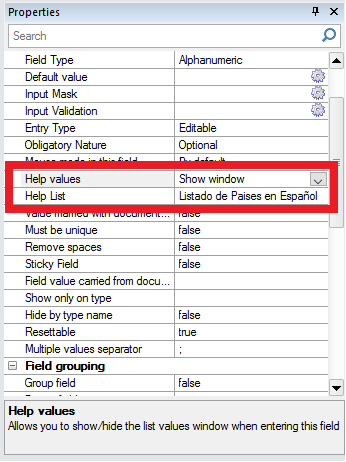 To change the behavior of the list and to link a list to a field the user have to open the field settings and go to the Help Values and Help List options. The list can be selected on the Help List option and the Help Values option will change the behavior of the list in the field. Click on this button to create a new manual list. By clicking on this button the user will be able to construct a manual list on the Value List window with Description and Value details. Click on this button to create a new database list. This button will open the Value List on Database window. Select a list from the dropdown menu Available Lists and click on this button to edit the selected list. 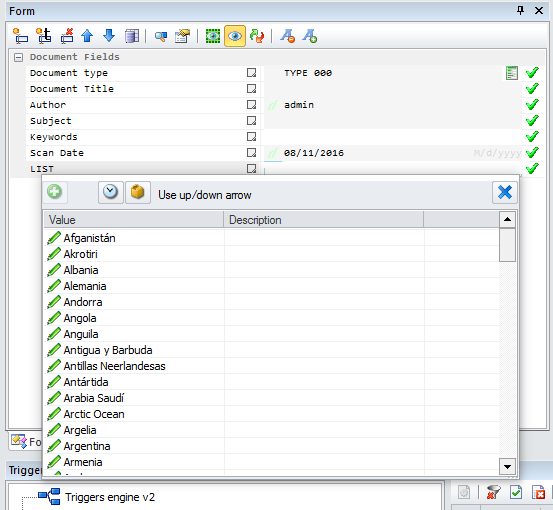 This button will open the Value List on Database window or the default text editor application if it is a manual list. After making changes to a list click on Refresh List data to display the latest data available for the selected list.